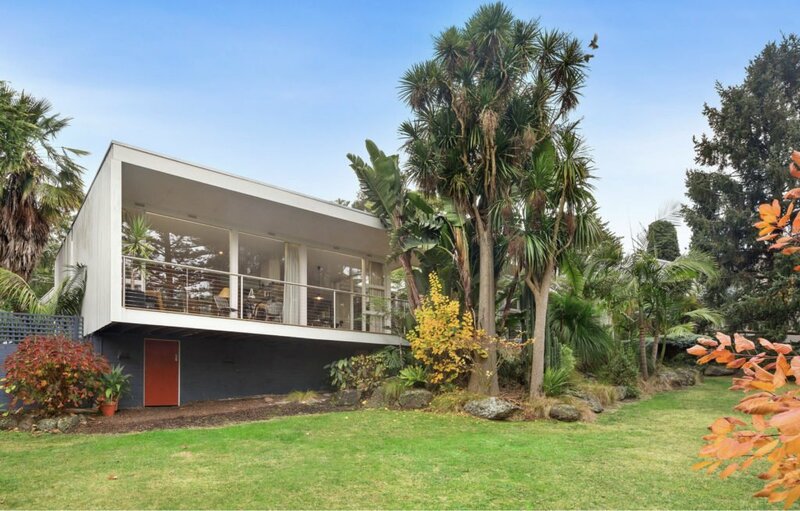 Take a moment to feast your eyes on this midcentury style home, deeply rooted to its surrounding landscape in the suburbs of Park Orchards in Australia’s Melbourne. 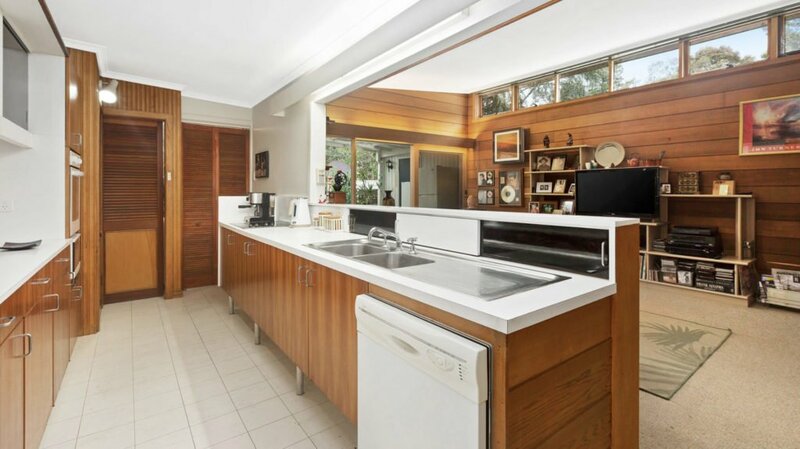 Commissioned to Australian Modernist architect Raymond Jones in 1952 by a relative, The Jones House revels in modern style, masterly craftsmanship and flavourful materials while blending in with the beautiful bushland surroundings. Earthy tones dominate the living spaces, in which walls made of stone create a feeling of being outside. 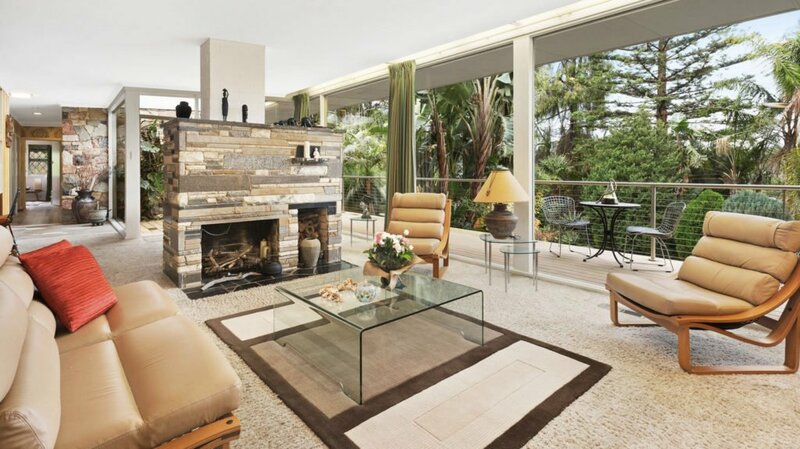 In fact, the stone wall literally brings the outdoors in, extending from the outside deck into the living space. Floor to ceiling windows across the living room further the indoor to outdoor connection and beyond a balcony that runs alongside the living room, continuing its span over the entire width of the house, lush greenery serves as a peaceful backdrop. Imagine sitting out on the lengthy balcony, looking out to a view of native treetops and woodlands; in the natural environment it’s easy to forget the bustle and commotion that comes with city life. 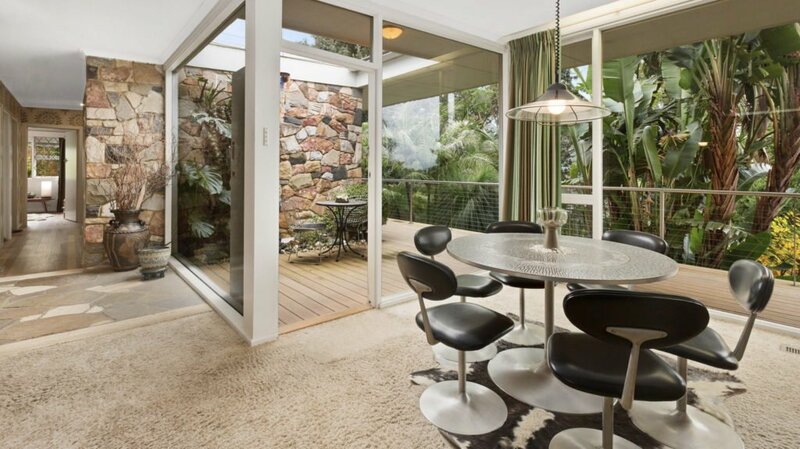 The midcentury home design includes three bedrooms and a shared bathroom with a separate toilet and shower. Gentle blue tiles synchronized with clean white paint give the bathroom a gentle oceanic ambience. 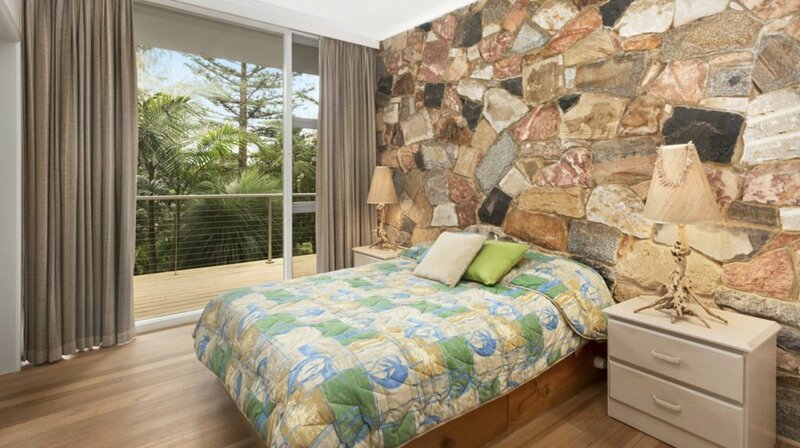 In the bedroom, a stunning wall is the eyecatcher of the room. Crafted by a proficient stonemason, the dramatic feature is perfectly cut out to fit in with the surrounding natural environment. Here too, floor to ceiling windows ensure plenty of natural light to flood in and wooden flooring, bed frame and nightstand comply with the various shades of greens and browns outside. 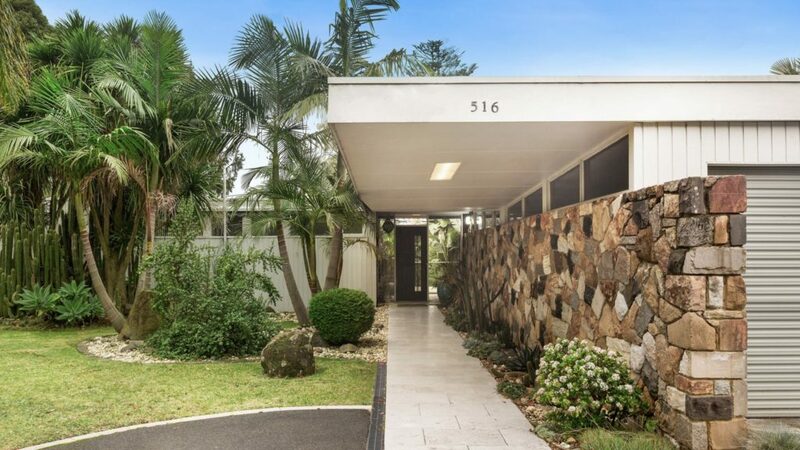 While the floorplan is effective in its simplicity, this midcentury modern house does not fall short of attention to detail, from its Albert Park Army Barracks sought hardwood floors to decorative details above entrances. All the comforts of home including ducted heating, air condition and a fireplace add to making this house a charming home.